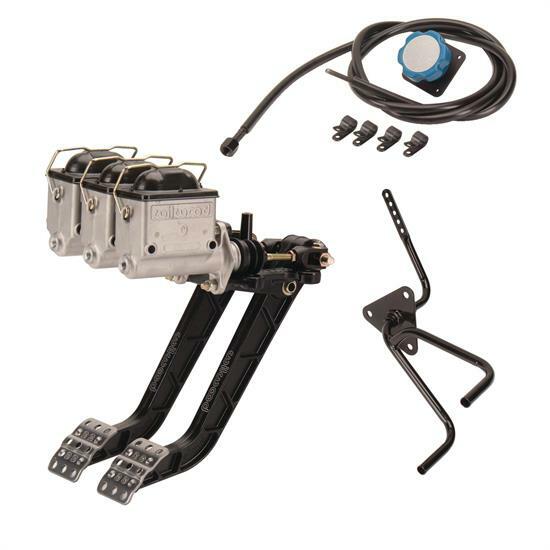 Includes clutch/brake assembly with three master cylinders, throttle pedal, and brake bias cable. Our affordable Speedway pedal kit comes with everything you'll need for your IMCA racer. Wilwood Aluminum Master Cylinders: 3/4", 7/8" & 1"
Learn more about selecting the proper master cylinder for your vehicle by reading our tech article. Brake System Selection. Tim talks about brake booster adjustment. 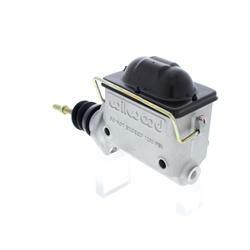 Anytime you purchase a new master cylinder, it's important to remove all the air before installing it. Here is a very helpful video tutorial that will show you how to bench bleed a new master cylinder. Speedway Motors employee Pat O. talks about the CPP Hydroboost Brake System. In this Tech Tip, John makes a few suggestions for a customer looking to update the braking system on his ’51 Deluxe. Manual brake bleeding can be one of the most efficient ways to bleed the air out of your brake lines. Speedway Motors has created a guide to show you step-by-step how to manually bleed your brakes.